Sublime blush meets the perfect bronze. 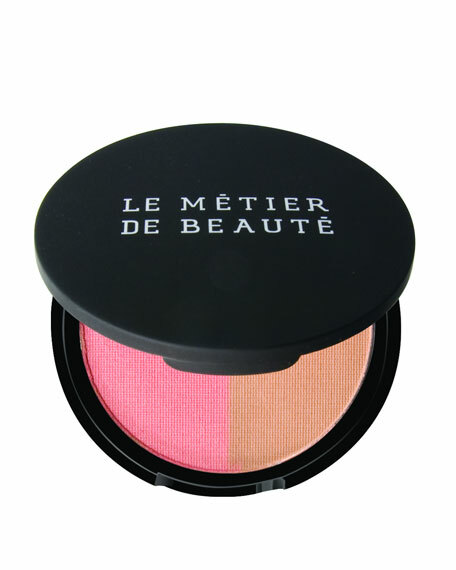 The Blushing Bronzed Duet embraces the incomparable pairing of Le Metier de Beautes Echo Radiance Rouge (delicate coral-pink blush) and Sun Kissed Bronzer (sheer, light bronze powder), which have been individually heralded for their universally flattering and natural-looking tones. This beautiful and balanced combination creates summer's quintessential glow with ease and grace. For in-store inquiries, use sku #242560.